This memorable artwork would make such a fabulous addition to any man cave or hallway! 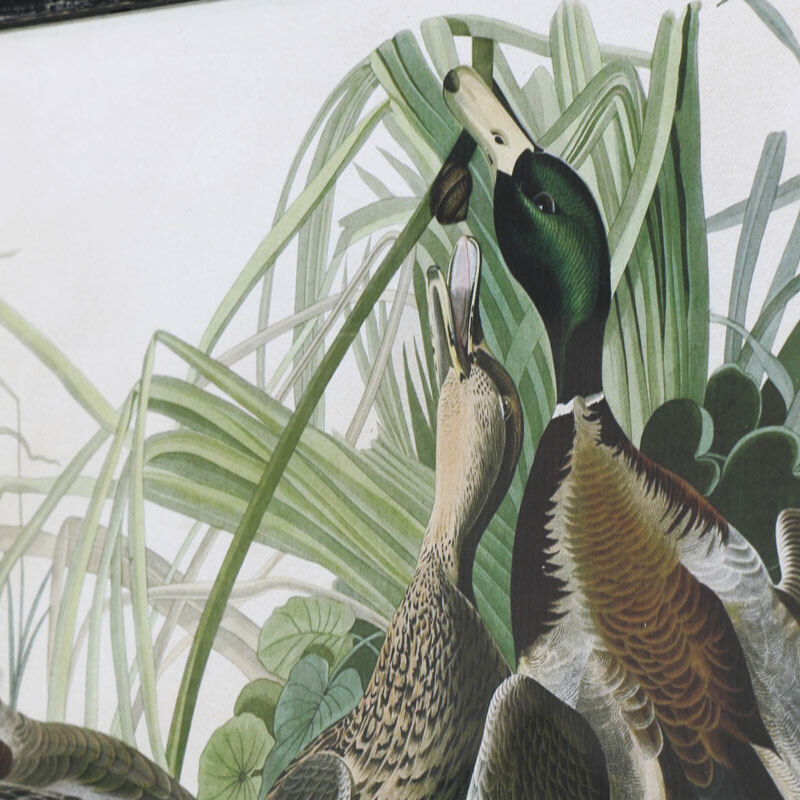 In the style of the Mallard Duck by John James Audubon. 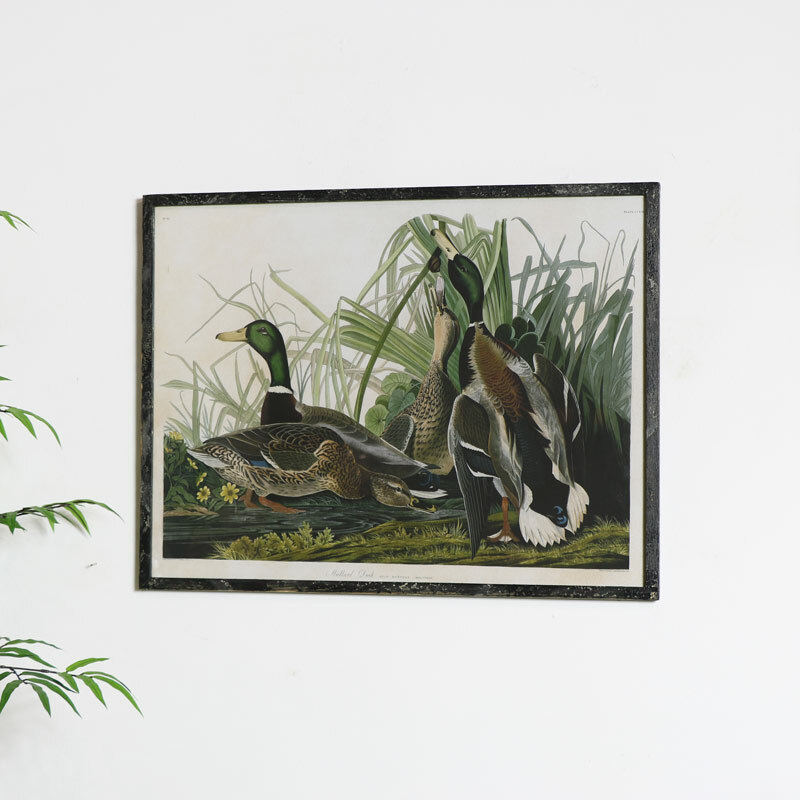 A stylish print consisting of three mallard ducks in their natural riverside country habitat. Picture, paintings and prints are a great way of adding character to your walls. 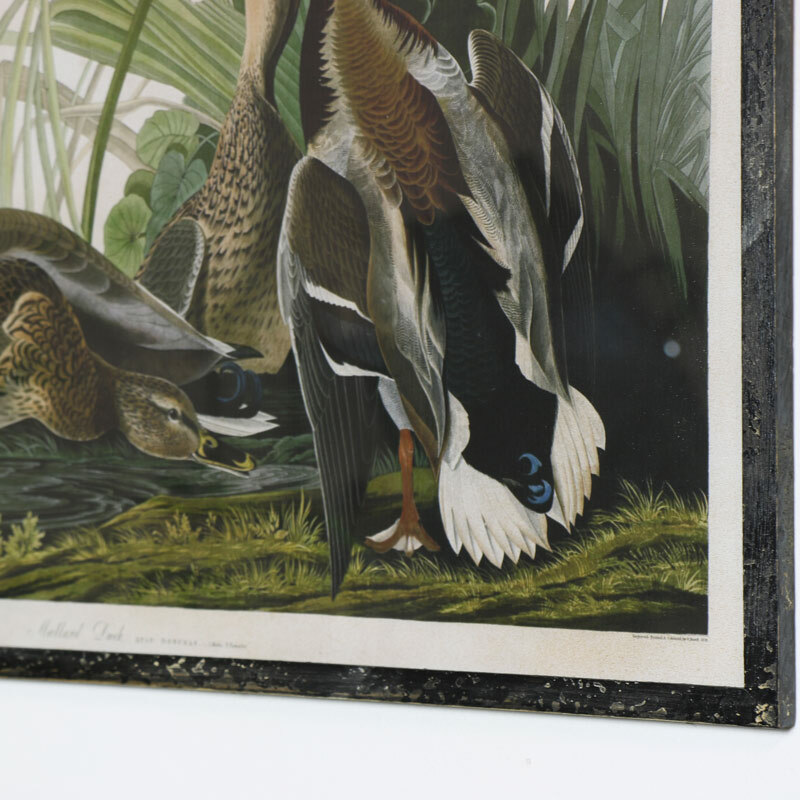 The picture comes displayed in a rustic black frame that gives an aged look and will look fabulous in a rustic country styled home. This picture makes a great gift idea for the budding artist or for anyone that loves wildlife and scenery. 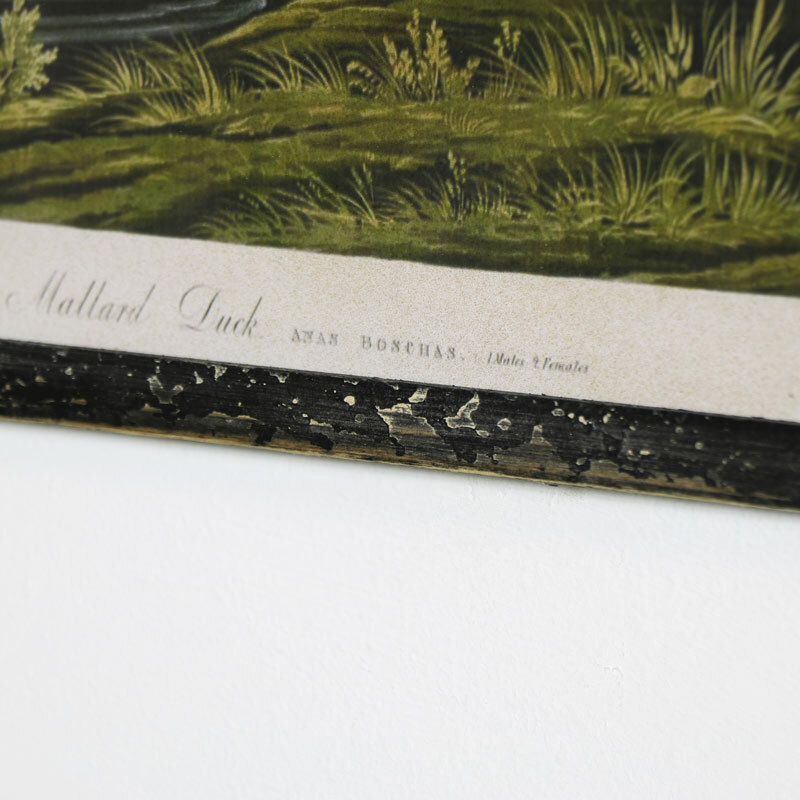 Mounted in a black distressed wooden frame with glass insert to protect the picture. Easily wall mounted with 2 hooks on the back for hanging. This picture forms part of our wonderful range of wall art and plaques.